This is just a summary of some key provisions. It is recommended you review your current policies in comparison to the entire law. The employee’s own need for medical treatment, recovery, diagnosis, or preventative care. Employee’s or family member’s need for medical attention, counseling, legal service, etc., related to an incident of domestic or sexual violence. Where workplace, school, or child care is closed by order of a public official due to a public health emergency or if the employee or a family member is deemed to jeopardize the health of others. Time to attend school-related conferences, meetings, functions, or other events requested or required by the school. ALL employees (full, part-time, and per diem) are eligible for sick leave under the new law and accrue at the same rate of 1 hour for every 30 worked with a maximum of 40 hours earned. You may front load your employees at the beginning of each benefit year with the full 40 hours. You cannot require the employee find shift coverage or make up the shift. 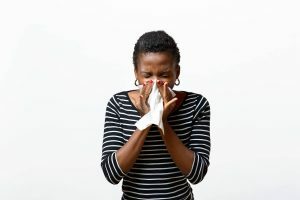 The only type of employee that is excluded from the Paid Sick Leave Law is “a per diem healthcare employee.” If you rely on a PTO policy, it must be applicable to all employees to meet PSL obligations or you need a separate policy for each classification with the minimum accrual and carry over provisions. You must allow up to 40 hours of carryover. Your policy may prohibit payout of any earned but unused sick time, either at the end of any benefit year or upon separation of employment. A policy should be put in writing and distributed to all employees with proof of distribution and receipt retained by the employer before the effective date of 10/29/18. You must document diligently under the new law. All records should be held for five (5) years. These records include, but are not limited to, hours worked and PSL/PTO used. The Paid Sick Leave Law is complicated, especially for a small-business owner. Several aspects of the law will continue to be ironed out after the effective date of 10/29/18. If you have any questions about Paid Sick Leave or creating your policy, contact us and we can provide additional information on the law or direct you to an employment law attorney.